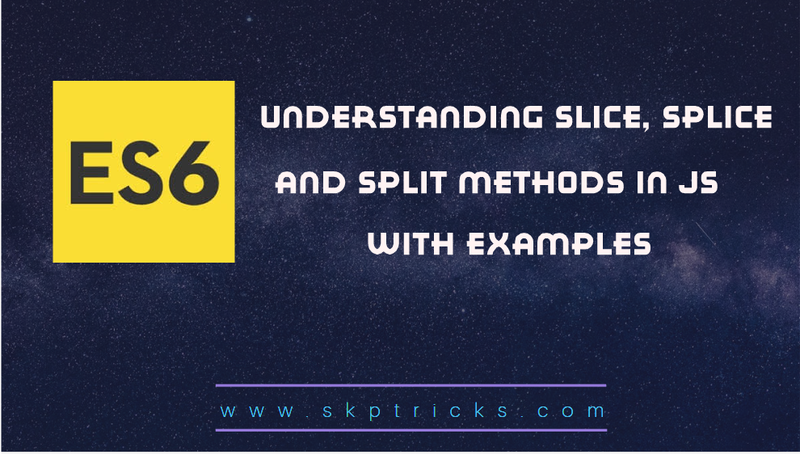 Slice( ) and splice( ) methods are used for arrays. Split( ) method is used for strings. The slice( ) method copies a given part of an array and returns that copied part as a new array. It doesn’t change the original array. index : starting element index. Slice( ) and splice( ) methods are for arrays. The split( ) method is used for strings. It divides a string into substrings and returns them as an array. It takes 2 parameters, and both are optional. Separator: Defines how to split a string… by a comma, character etc.